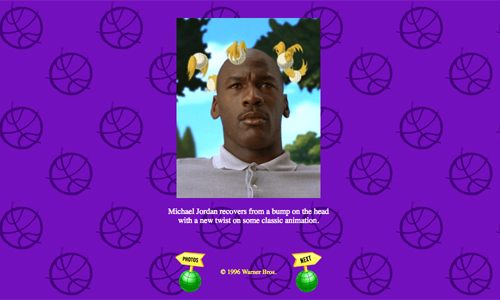 Its twenty years since Bugs Bunny took on Michael Jordan in the classic movie… and you can relive the early days of the internet right here. You’ve no doubt thrilled to the antics of basketball superstar Michael Jordan alongside Bugs Bunny, Daffy Duck, Tweety Bird and more in the film, which was released to US theatres on 15 November 1996. And, if you want to get an instant nostalgia hit from those simpler times, here’s the thing for you. 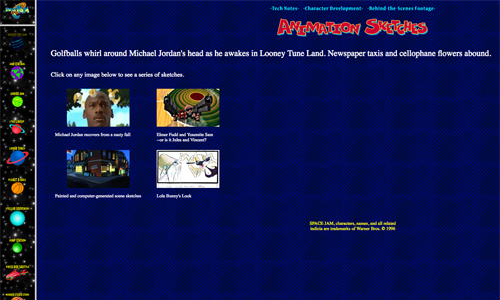 Incredibly, Warner Bros (who made the movie) have kept the original Space Jam promotional website live in their archive. 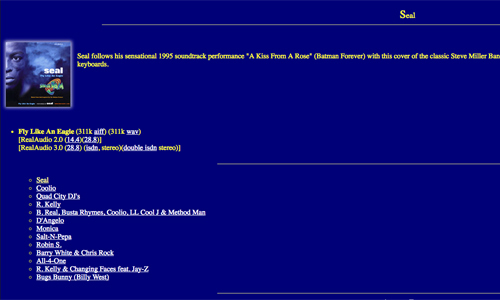 You can click around the site as if it t’were 20 years ago. Remember how things were, or get a glimpse into a whole other time with a look at the dawn of the internet. Remember frames and text menus? 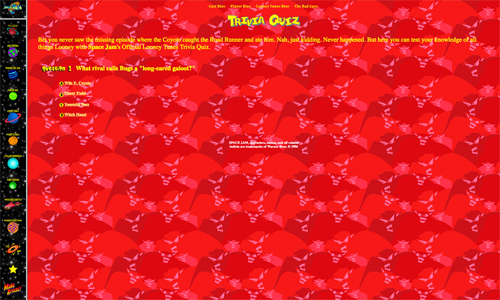 And horribly garish background wallpaper? How about animated gifs and flashing text? 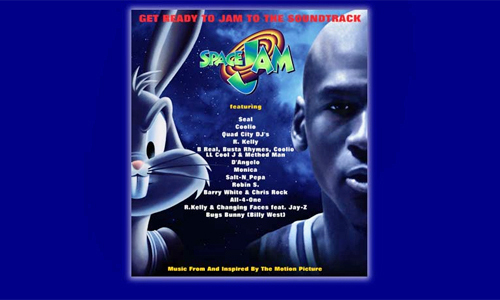 What about that super cool Space Jam soundtrack? It’s available on CD AND cassette. Not vinyl, though as everyone has chucked their turntables out. We’d like to tell you what Seal’s track sounds like, but we don’t seem to be able to get RealPlayer to load at the moment. There are lots and lots of very, very small images to look at. Although it’s taking ages to load on dial-up. Don’t even get us started on trying to download the QuickTime movie clips. Help! 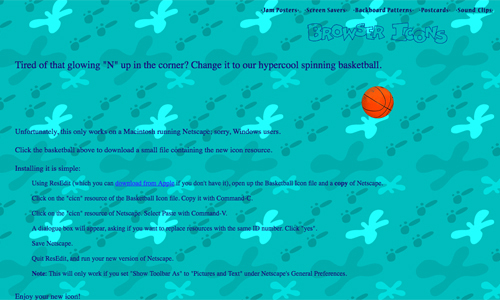 And, as a memento of your visit to the Space Jam site, you can walk away with a special movie screensaver, a “backboard pattern” (wallpaper), or even an icon to replace the “N” in your Netscape browser window. Nice. If you don’t know what we’re on about in this article, go and ask your parents.